Come and join us after your breakfast on a wonderful adventure. 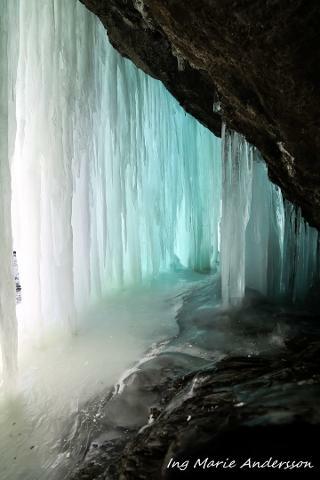 We will visit the beautiful Ristafallet when it's frozen and find its secrets passages. 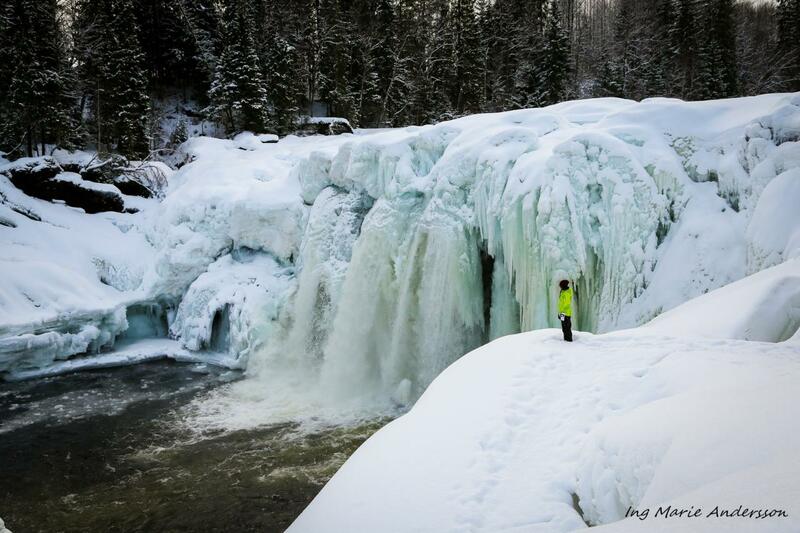 This tour offers vast rivers, icy waterfalls and some mysteries. 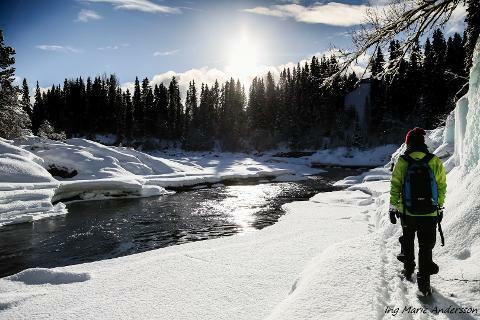 We will pick you up with our minivan at your hotel and take you out on a trip out from the Åre village. We will drive along roads with spectacular views over the landscape until we arrive at the waterfall. At the waterfall, we will take a shorter hike and show you it's secret passages and magnificent nature. both on close range and on view. We will make a stop in the middle of the tour and offer you a traditional "Swedish fika". 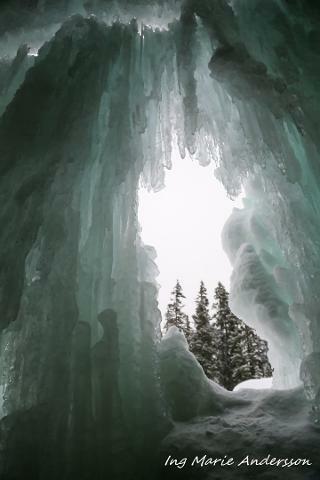 Frozen waterfalls with a good chance to walk behind the frozen waterfall and crawl through its secret passages. A "Swedish Fika", which is a snack between meals. We pick you up at the Hotel Holiday Club (30 min before) or at the Hotel Copperhill Mountain Lodge (15 min before) the tour starts. With our minibus when we pick you up at your hotel. (Choose the pickup point when confirming the booking). Approx. 3 hours including the time for transport. Any minimum age or length? We recommend this tour from 5 years. Hiking shoes and clothes for the weather. Are there other things I need to know? 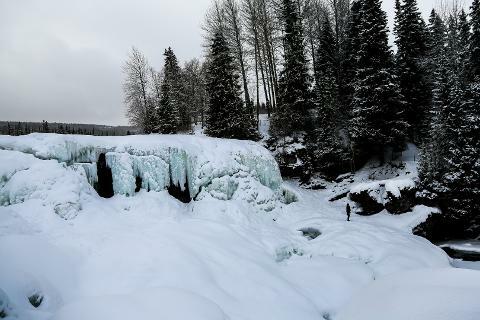 We leave no guarantee that the waterfall is fully frozen because it can depend on the weather. If Ristafallet isn't frozen, we will offer you the Summer Waterfall Adventure instead.